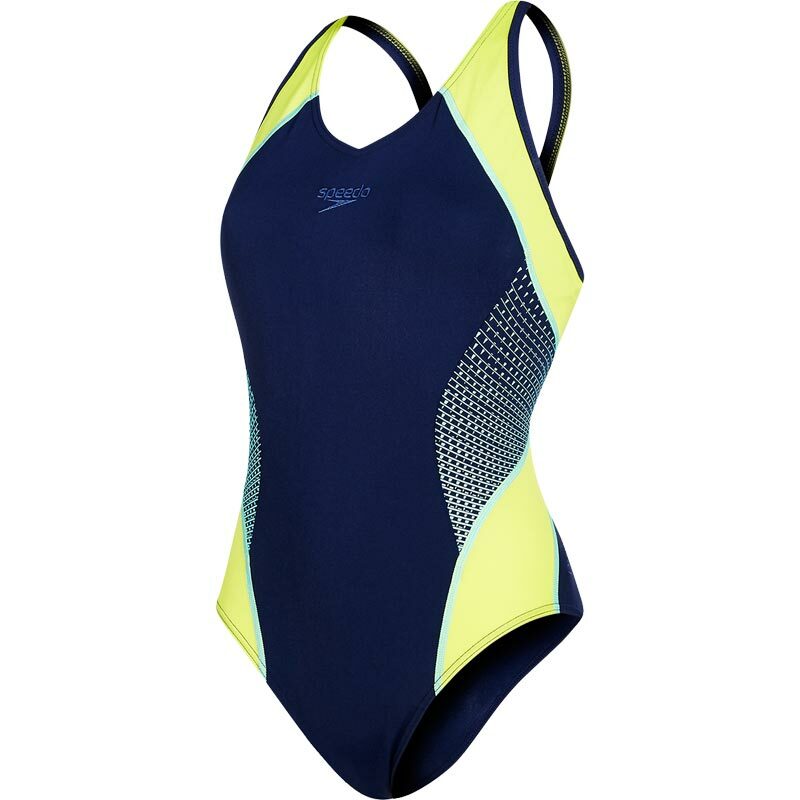 The Speedo ® Fit Splice Muscleback Swimsuit provides great freedom of movement, allowing you to focus on your swim with out feeling restricted. Featuring a stylish print and Endurance+ fabric, which is 100% chlorine resistant and designed to last for longer. Soft, smoother straps enhance comfort. Endurance+ fabric retains its shape a resists fading longer than any other swim material. Comfortable ladies swimwear bought from Newitts. Good service, arrived promptly and excellent sales price. Would buy from Newitts again. Delighted with this swimsuit, very comfortable. After reading reviews for this item I ordered a size 12 instead of my usual dress size 10 which turned out to be a perfect fit. This is my perfect swimsuit and ticks all my boxes. I love it so much this is my second purchase. They are also a lovely company to deal with and products are good value.